I am cheap by nature, but that doesn’t mean I’m not generous. I am generous with my time and affections, for sure. Money? Not so much, teehee. I clip coupons every week, much to my husbands annoyance. I have stopped telling him how much I spend in a shopping trip. At the beginning of the month I find out my budget and instead come home reporting how much I saved. Coupons and flyers do take over our tiny kitchen sometimes, but I am learning how to keep them more organized. First place to start? Get a purse-sized organizer with accordian folds. I got mine at my favourite dollar store, and it has ten pockets to organize my coupons. I sort them into categories, and put the closest expiry dates in the front of the pile. My every week shopping list gets tucked into the front. This list has items I need every week because I can’t rely on my memory anymore. 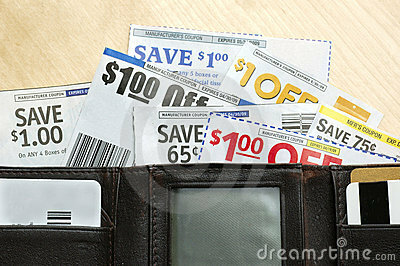 Coupons can offer a way to try something new without wasting too much money. Two weeks ago I got a FREE MAIL-IN REBATE for the new Lysol No-Touch Hand Soap Pump. I bought the pump for $9.99, filled in the rebate and mailed it with my original receipt. In a few weeks I should get a cheque in the mail. I make sure to only do this with brands I trust. I plan my meals and purchases for the next week, based on the new flyers I get on Thursday evenings. This is when the second list gets made, list your needed items by store and include the prices advertised. This saves you from reading through all the flyers over over and over again. I decide who has the best deals then bring ALL my flyers to the store that will price match. There are people that still don’t know about price matching. It is practised in many grocery stores, but in some stores it can also be applied to appliances, electronics, health & beauty, pet food, and baby items. Sometimes it is only a matter of saving a few cents, but other times it means getting a $50 video game for $20. Patience is important when it comes to getting good deals. I will wait for the perfect sale and still hang on to every receipt. Just in case the item goes on sale even more in the next two weeks, I will wait in line to get a price adjustment. Some stores will give you money back up to a month after original purchase (Future Shop, I love you for this reason). When I find a really good deal, will ask friends for the coupons in their newspaper too. Visit websites of the companies that make or promote your favourite things. There are also free coupon websites that will let you browse through the brands that have offered deals. Companies want your business. They will give out free samples, coupons, and hold great contests to get your interest. I just got 30% off my OLD NAVY purchase and saved more than $30 including the markdowns on the clearance items. I got a long sleeved T-shirt for $1.23!!! My total bill was $36 (for two T-shirts and a pair of yoga pants for me, and spring outfit including; 6 pairs of socks and a pair of sandals for baby girl). Can you tell that I love a bargain? I could go on and on about how much I love free stuff. I am happy to do a little bit of work every week, to clip coupons, search the web, or pour over flyers to find the best deals. It means that we get to live well, and within our budget, so we may have enough money to treat ourselves to a dinner out. In the really tight budget months it means we don’t have to use credit cards just to eat and put diapers on the baby. With a little time and planning, a good deal could mean stretching your budget a long way. For me it means sneaking in a cute shirt, or a new lipgloss. Especially when I shop at a department store that has everything under one roof. Happy Savings! Posted in Blah Blah Blogs, Random Ramblings and tagged adjustment, appliances, baby, beauty, budget, cheap, clipping, clothes, coupons, deal, favourite, folder, food, free, friends, frugal, health, lists, mail in, money, newspaper, organized, pet, planning, price, price match, rebate, receipt, rewards, sale, save, shopping, spend, stores, time, trust, unit price, wallet, websites. Bookmark the permalink.